The first Icelandic exodus happened in the late 19th century, when more than twenty percent of Iceland’s population came to Canada after a volcanic eruption crippled their economy and livestock industry. After learning how to fish in lakes covered in metre-thick ice, survivors went on to found New Iceland, an area spanning from Gimli north 60 kilometers to Hecla, and now it’s the largest Icelandic community outside of Iceland. 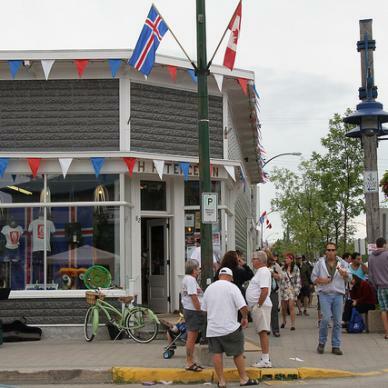 In 2015, Gimli celebrated 140 years of Icelandic heritage. 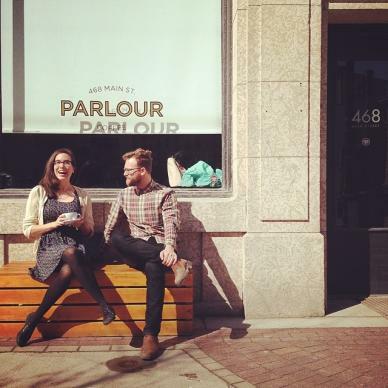 Fast forward to present day and Manitoba is channeling New Iceland more than ever. On an exploratory trip, I find this recursive nostalgia extends beyond Gimli to other Icelandic-Manitoban towns in the Interlake (so-called because the region’s position between two massive lakes), and to Winnipeg where a new generation is celebrating its Icelandic heritage in measures that stand out even in multicultural Manitoba. Among Manitoba’s Icelandic luminaries are John K. Samson, front man of Canadian folk-punk group the Weatherthans; filmmaker Guy Maddin, whose myth-making movies My Winnipeg and Tales of the Gimli Hospital are tied to his Icelandic-Manitoban childhood; and intermedia artist Freya Björg Olafson, co-founder of Núna, a Canadian-Icelandic arts festival. My drive begins with a prairie landscape so flat it recalls the pictures a child makes before learning about perspective—a big band of blue for the sky, a small strip of green at the bottom. Less than an hour north of Winnipeg, a sign welcomes me to New Iceland. I begin to see exits for streets named Húsavík or Siglavik. 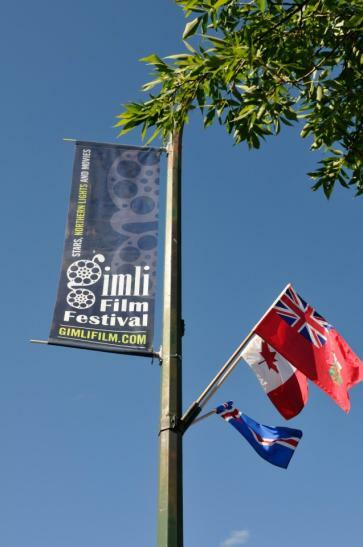 In Gimli, I see more Icelandic flags than must exist in Iceland, and countless blue signs in front of modest homes and cottages with names of Icelandic villages, sagas or homesteads. A larger-than-life Viking sculpture dominates the town (many a first kiss was had behind the marauder). I pass by Brennivín’s Pizza Hüs restaurant, named after the Icelandic liquor of choice. Nearby is Lifa Home, a Scandi-Chic home decor shop. On this cool morning, I am struck by the number of blond people in Icelandic sweaters, notable for their muted colours and distinctive yoke pattern around the neck and worn by fisherman and fashionistas alike. 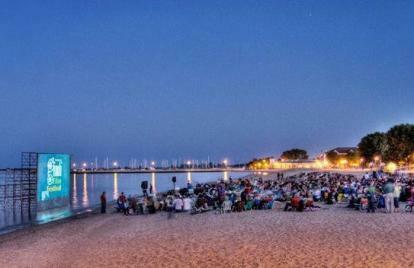 This weekend, the town church doubles as a venue for the charming Gimli Film Festival, a showcase of artsy Manitoban, Swedish, Norwegian and Icelandic cinema held every July. I slip onto a hard wooden pew just as the lights dim for a documentary on an Icelandic transgender story. I continue north up Lake Winnipeg to Hecla, named after one of Iceland’s most active volcanoes. The change in scenery creeps up in a slow and dramatic fashion from prairie to pine trees. Flat land becomes hilly, and wheat and canola fields give way to picturesque meadows and marshes. 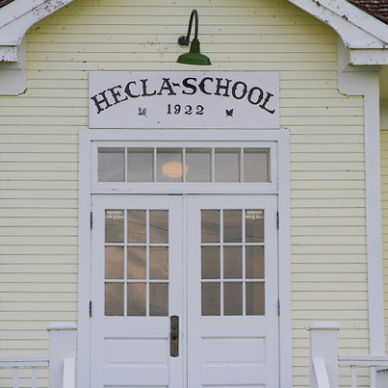 Hecla was one of Icelandic Manitoba’s most important settlements, but most of the population left when it was transformed into a provincial park featuring 1,000 square kilometres of coniferous forest and beach coastline crisscrossed by hiking and biking trails, as well as one of the province’s best golf courses. 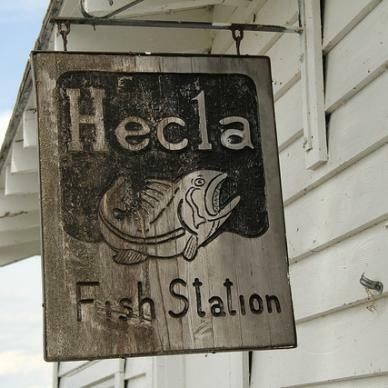 Once an island, Hecla is now joined to the mainland by a causeway named after Grimolfur “Grimsi” Grimolfson who captained the ferry for decades. I drive past the restored Icelandic village to the shed where commercial fisherman Ivan Grimolfson, Grimsi’s son, is waiting to take me out on his boat. Now in his seventies, Grimolfson has been fishing here since he was a boy. With his quiet manner, his full white beard and eyes the colour of Iceland’s blue lagoon, he’s part Norse god, part lone wolf. From here, Grimolfson ships his hearty fish all over the world. The summertime moratorium is on when we head out, but he tells me the next time I visit he’ll show me how to smoke pickerel over pear wood, the way he likes it. 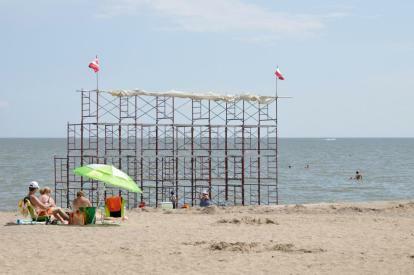 I head back in Gimli for the start of Islendingadagurinn, and the town of 5,000 swells to 50,000. Icelandic clans, clad in T-shirts ending in-“-dóttir” or “-sson”, shop for herring or Brennivín liquor. The Prime Minister of Iceland is here for the festivities, staying at the same hotel as me, and when I step into the lobby, I find six fully dressed Vikings drinking coffee. I later wander to the Viking Village. 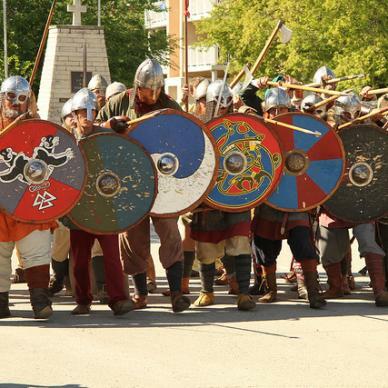 While there are demonstrations on Icelandic spices and fishnet-making, Islendingadagurinn’s biggest draw is clearly the battle re-enactment, and the ruthlessness of their ways is played out for the crowd. “There was no art to their fighting!” cries the announcer. “It was do what you must to stay alive!” At the festival’s music event that evening, Icelandic indie music act Snorri Helgasson is a headliner. Feeling totally at home 3,000 miles from Reykjavik, she addresses the audience in Icelandic. The next morning, it is shoulder-to-shoulder at H.P. 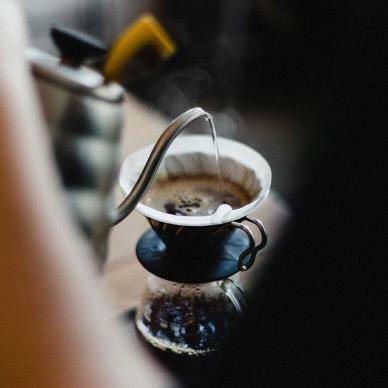 Tergesen and Son’s, a century-old general store turned lifestyle emporium. The building is a listed heritage site because of its original tin roof ceiling with unique patina of history. Despite the crowds, fourth-generation owner Stefan Tergesen stops to chat. He delivers a message of Viking revisionism: “When you hear the Viking myth, you can think they were a bunch of lunatics. We realize now they were businessmen ahead of their time,” he says. Re-purposed from article “Unfrozen in Time”, which originally appeared in Mercedes Benz magazine spring/summer 2014. Written by Karen Burshtein.